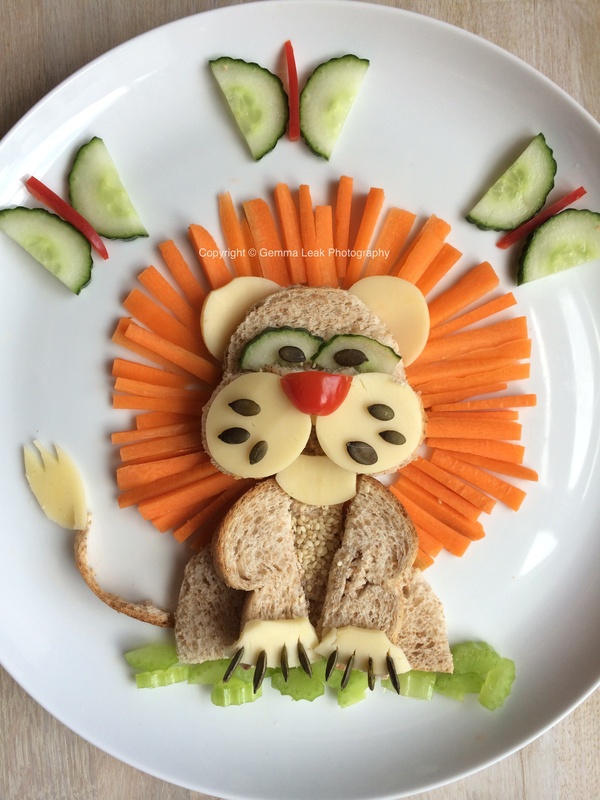 Rosie loves running around roaring like a lion and today I decided to create a lunch plate lion for her. He took about 10 minutes to make. Rosie loved him and decided to call him Danny. Made with: wholemeal bread, emmental cheese, carrot, pumpkin seeds, cucumber, red pepper, celery and a tomato. 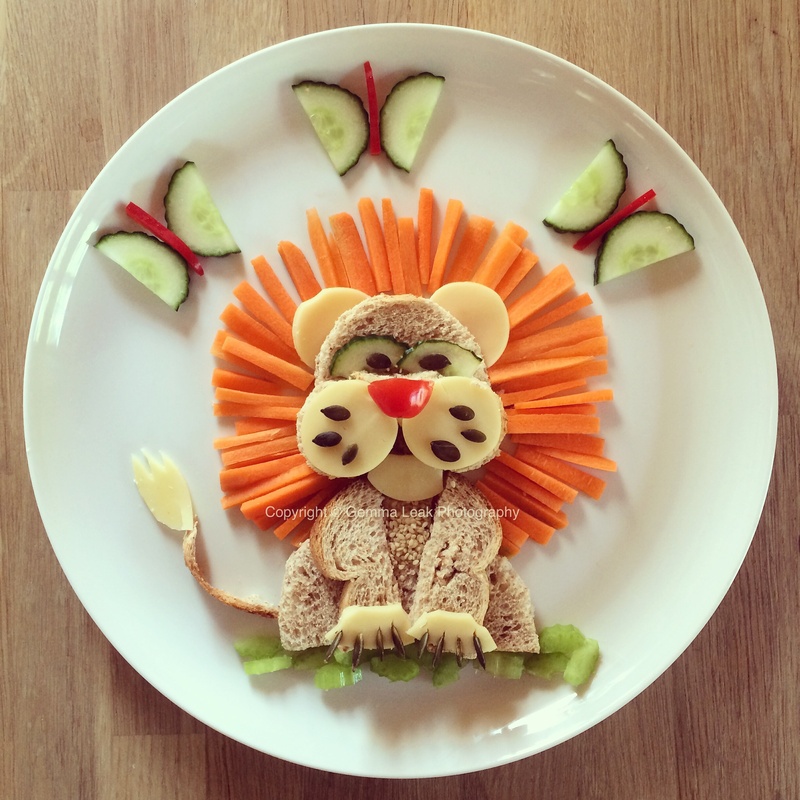 This entry was posted in Food art and tagged food art. Bookmark the permalink. These are adorable! All my grandkids would love these!